The 2017 Africa Automation Fair focused extensively on the role that the internet of things (IoT) and Industry 4.0 will play in the future of the automation and control industry. Many of the exhibitors focused on IoT while some chose their focus to be on the German government-sponsored Industy 4.0. One exhibitor, Endress + Hauser choose their focus to be on the Internet + Things – an astute move. 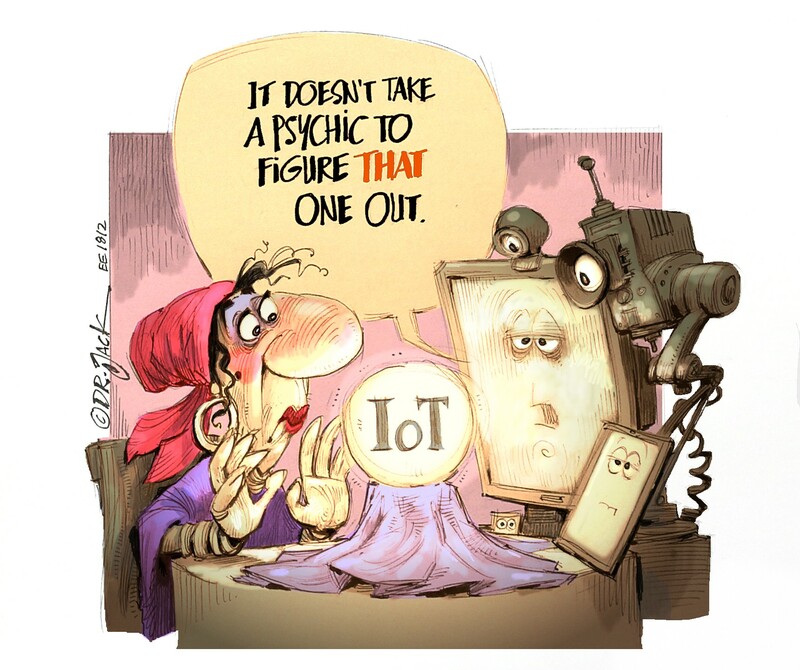 While there are many similarities in the focus of IoT and Industry 4.0, there is at this stage no agreement on how the two concepts can be merged. 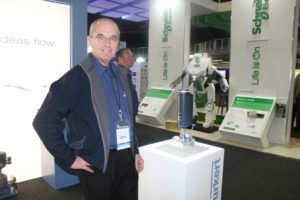 Hennie Blignaut said that everything on the E+H stand is connected to the internet, is fully interconnected and accessible from one portal. Hennie Blignaut discussing the “Internet+Things” with a visitor. 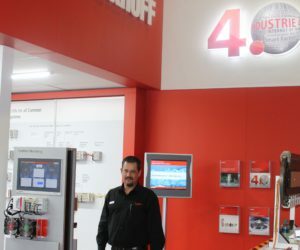 Beckhoff Automation is a strong supporter of Industry 4.0 with many interesting working displays on its stand. While cloud in many ways took a backseat at the show, it was still present. One of the displays on the Beckhoff stand illustrated a control system uploading into to the cloud and control another unit from the cloud. The two motors were in sync and ran at the same speed. Kenneth McPherson on the Beckhoff stand. RJ Connect introduced a new range of industrial panels and HMI for SCADA applications on its stand. The units are built around the Intel J1900 quad processor. The M2I range of HMI include a camera and free software to develop custom applications. Joe von Aulock at the Schneider Electric stand. 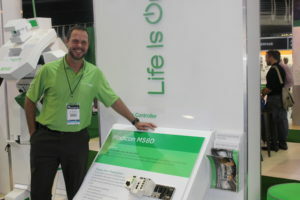 Schneider Electric introduced a new range of Modicon motion controllers with Ethernet designed into the product and enhanced cyber security built into the CPU. 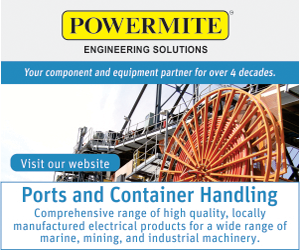 Designed for machines with hardwired controller architectures, it is one of the fastest and most compact controllers in its class. Applications can be transferred from old control platforms and reuse existing codes, reducing development time. It won Control Engineering’s PLC of the year award. 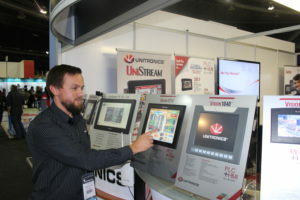 Dewald du Preez of Unitronics shows a PLC with the HMI in one unit. Unitronics showcased its complete range of PLCs with the theme “PLC+HMI, all in one”. 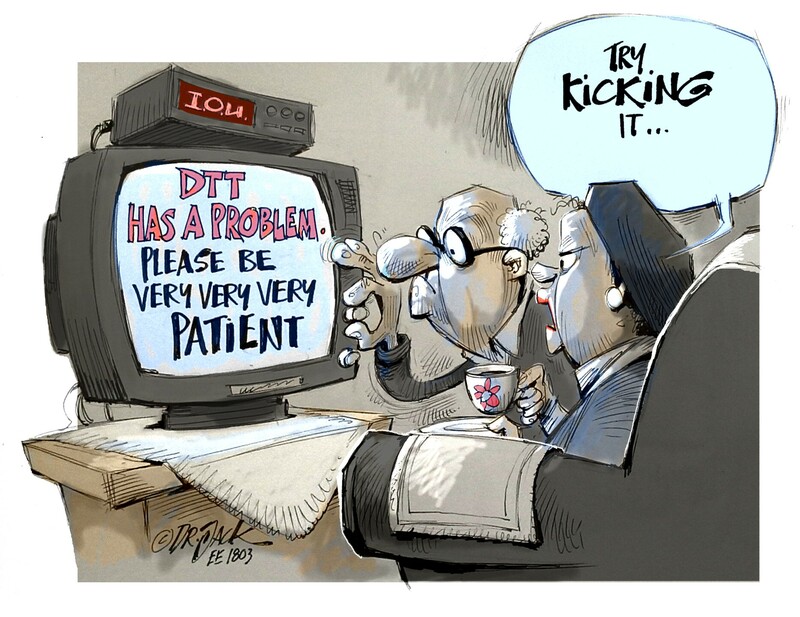 Their software is intuitive and feature-rich. On the Burkerts stand the focus was on “what they do best” – supplying the entire loop in processes involving fluids and gasses. 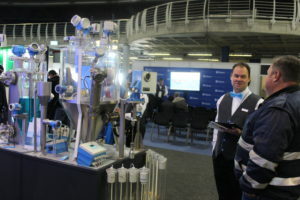 On show was one of the company’s latest electrically actuated valves. Dave Strydom shows off Burkert’s latest valve. Phoenix Contact introduced its Termitrab surge protection for measurement, control and recording technology, the narrowest surge protection for analogue and digital signal interfaces starting from only 3,5 mm. It can protect 572 signals on a one metre long DIN rail. The protective devices indicate an overload by means of mechanical signalling with optional remote signalling modules transmitting the status via photoelectric barrier to the control room. 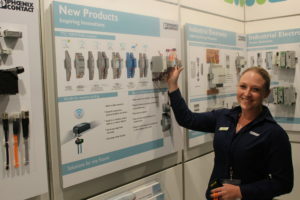 Sheree Britz on the Phoenix Contact stand. The success of smart manufacturing relies on the application of sensors which capture real-time situations and convert these into digital signals, forming the basis of the process chain. One of the most interesting and comprehensive sensor products at the exhibition was on the stand of SICK Sensor Intelligence. 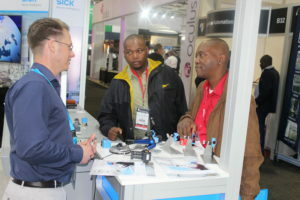 Two of the hundreds of delegates discussing sensor applications on the SICK stand. The fair was bigger than two years ago, and with so many new developments and products on show one could have easily spent the entire three days exploring.